Saddlemage is a homegrown luxury leather brand that lets you dream big without emptying your pockets. 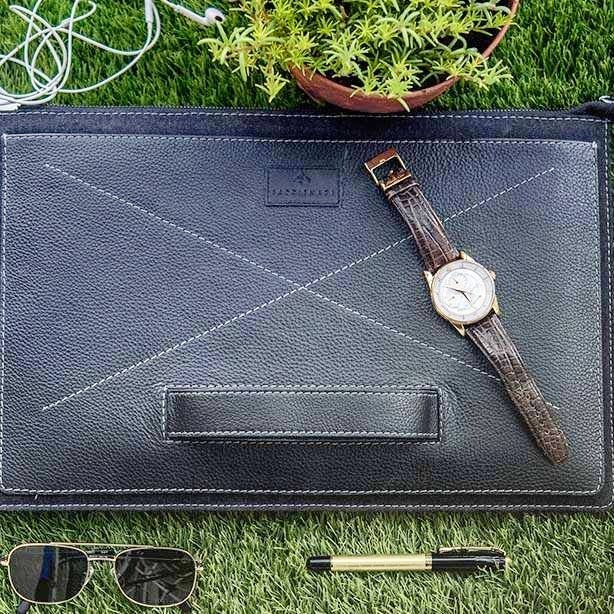 Catering to both men and women, this cool brand does wallets, bags and laptop sleeves that come in cool colours and is a blend of the traditional and modern. Made using soft leather, the products are gorgeous to look at, and we've already laid our eyes on some pieces we love. Their men's wallets start at INR 1,099; their backpacks start at INR 3,999 (all leather, guys! ), their wristlets for women at INR 1,499, card holders are for INR 499, women's wallets for INR 2,499 and laptop sleeves are for INR 3,999. Their products are available on a discount on our app so make your way there already and order yourself some lovely new accessories.